Thyssenkrupp Schulte, a company of thyssenkrupp’s Materials Services business unit, has collaborated with Siemens to develop new fan blades made from a special aluminum alloy. The innovative material is used among other things in generator cooling fans. The optimised part was identified as part of Thyssenkrupp Schulte’s central key account support. Extensive tests were conducted and trial deliveries met all requirements. 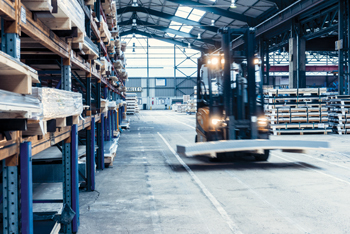 Thyssenkrupp Schulte will now supply Siemens with several tons of aluminum mill products per year from its logistics center in Dortmund on a just-in-time basis. “That will allow Siemens to concentrate fully on its core activities,” says Mulot. Thyssenkrupp Schulte is a materials partner for carbon and stainless steels and nonferrous metals, providing made-to-measure products for over 70,000 customers in industry, construction and the trades. The company has a broad range of flat products, sections and tubes for all requirements which can be cut to customer specification. Closeness to customers is another key advantage: With over 40 sites in Germany, Thyssenkrupp Schulte is always close at hand and can serve customers throughout the country quickly and reliably. A wide product range, professional advice and extensive services round out the portfolio of Germany’s biggest materials distributor.